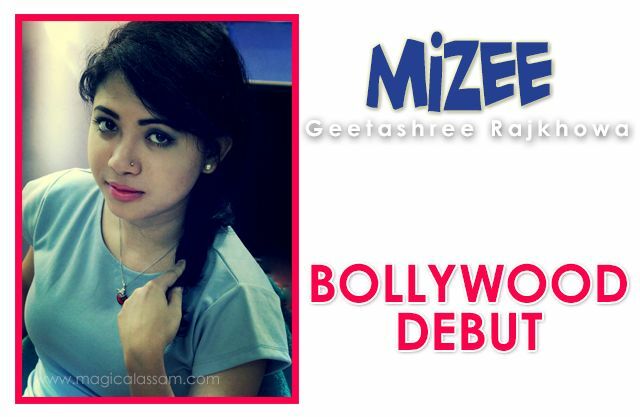 After working as vocal artist in some big bollywood flicks like R Rajkumar and Holiday, playback singer Geetashree Rajkhowa aka Mizee is going to debut on bollywood with “Main aur Mr.Riight” which set to release shortly. Born in Dibrugarh, Assam, Mizee is one of Assam’s most popular young artists who is setting stages on fire with her powerhouse performances. Her debut hindi music album Bohnimaan..the folk flows was very much appreciated across the country. Bohnimaan was a contemporary take on traditional Assamese folk tunes. Main Aur Mr. Riight is an upcoming romantic Bollywood movie that stars Barun Sobti and Shenaz Treasurywala as the lead . Main Aur Mr. Riight tells the story of a single girl in search of her Mr. Right. The film is slated to release on 12 December 2014.